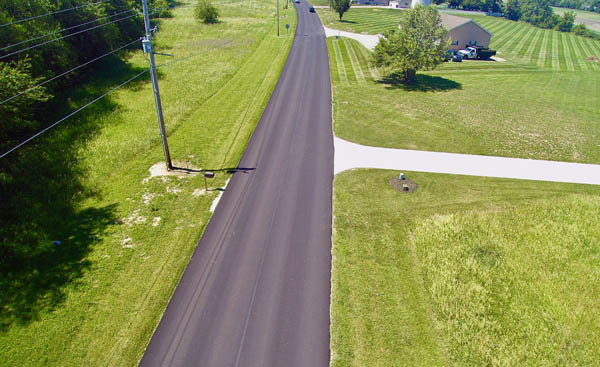 Situation: A city off Pendleton, Indiana needed a far more durable road markings solution and help with design and layout. Task: Accurate Striping was called to lay out roadway, intersections, downtown street parking areas, and submits for approval from the client. 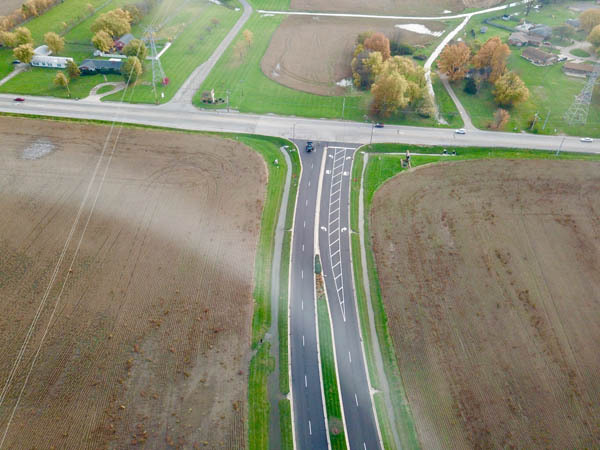 Action: As per the client’s request for a more durable solution Accurate Striping professionally laid out and installed Thermoplastic markings on all project as per INDOT specification. 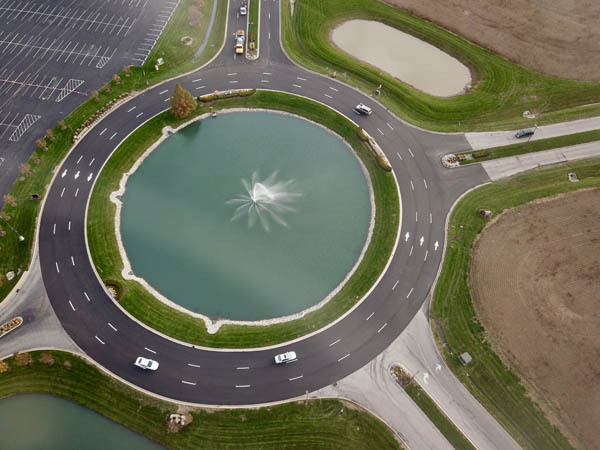 Result: The client was searching for professional design and product consultation, Accurate Striping listened to the client's specific needs and responded with a solution that exceeded the client's expectations while meeting their budget requirements. 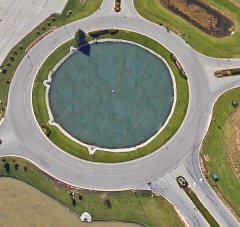 Situation: Client roundabout markings had worn or did not exist presenting traffic safety concerns. Lane distinction striping was needed for flow and function. The new surface was installed by paving contractor. Task: To layout and install workable striping solution that would improve entering and exiting the roundabout. 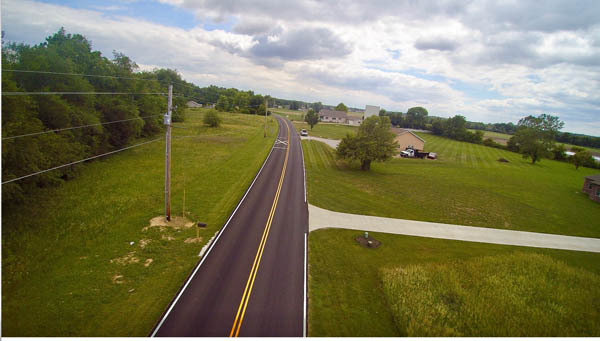 To layout and install four-lane entry/exit roadway. 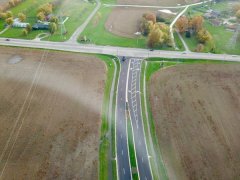 Action: Accurate Striping provided an effective plan that improved traffic flow and safety at roundabout entry and exit points of decision. 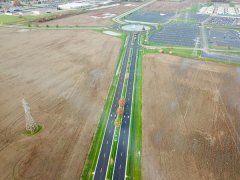 Upon approval, Accurate installed lane markings, gore areas and directional arrows and “ONLY” markings using Heavy duty durable Thermoplastic materials. Result: Less confusion in roundabout lanes. 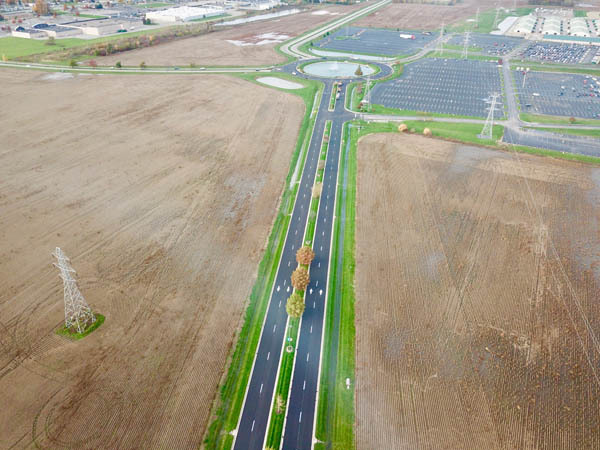 Clear, distinct three-lane traffic system to increase user volume ensuring a safer operating environment. Client expressed satisfaction in project execution and beautification.